Blocky Roads – Games for Android 2018 – Free download. 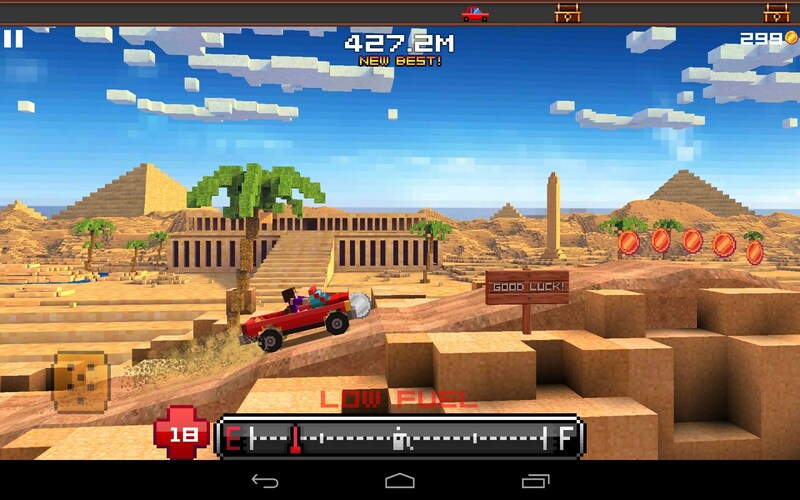 Blocky Roads – Racing arcade with unusual 3D graphics. 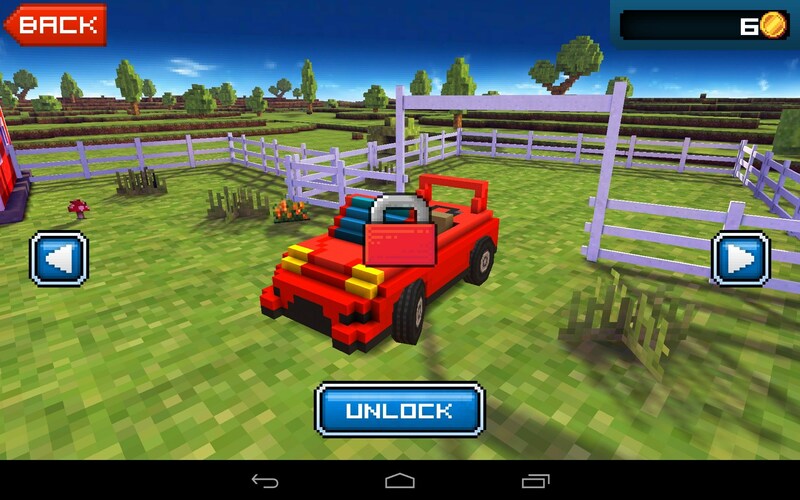 Blocky Roads - is a fun arcade racing game for Android with elements of physics. The game idea is very simple: we zholzhny repeatedly try to overcome the track, buy upgrades and after overcoming a move to another track. 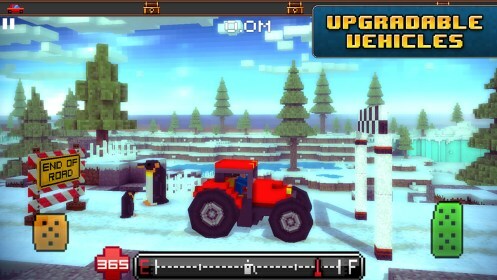 Games similar subjects very much, the most popular of all - Hill Climb Racing . 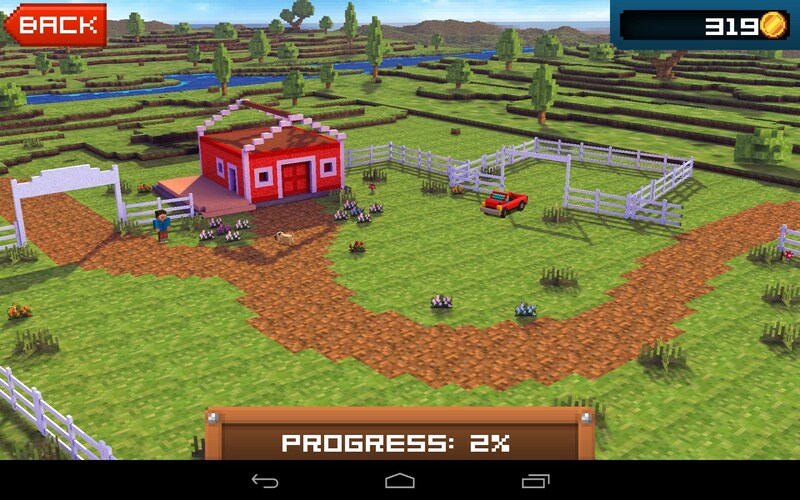 A distinctive feature of the game - an amazing 3D-graphics, consisting of large square blocks in the style of Minecraft. The world around us in the game drawn, so cool and big, they do not stop to admire throughout the game. Created this wonderful game from the studio guys DogByte, who also participated in the creation and Redline Rush Offroad Legends, from which we can conclude that in the genre of racing they are real pros. The game's plot begins with the fact that the hurricane sweeps away most of the things from the farm of our hero. On their salvation we will go to a small village jeep. Level after level, we will find new items from the farm and restore its original appearance. Control of the game has been greatly simplified: only 2 buttons, the gas and brake. These buttons also help to maintain the correct position of the car on the road and do not turn over. Two-button control does not interfere with the game to be very challenging, especially in some parts of the track and jumping with big jumps. Land on the wheel is very difficult, we have to practice a lot. 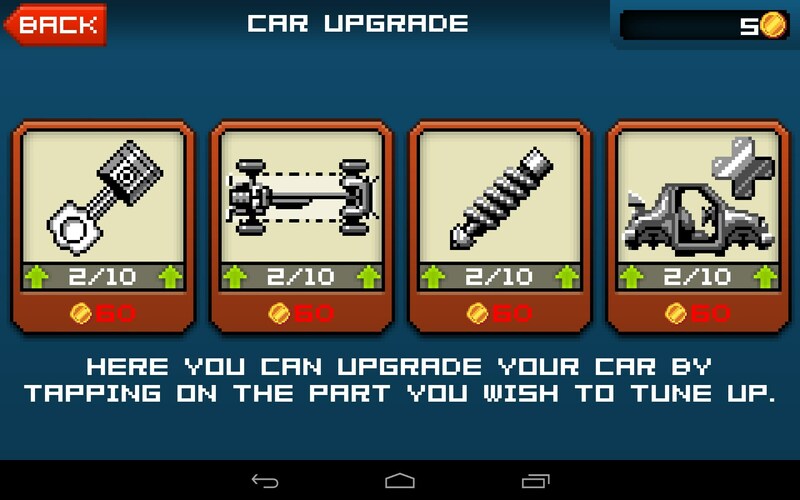 Each car we can buy upgrades for the suspension, shock absorbers, engine and wheels. All these improvements will allow us to quickly gain speed and travel long distances in a single fuel supply. Fuel in the game ends very quickly, but it is usually always enough to get to the next gas station. The only significant drawback of the game is that it is sold exclusively in the Amazon Appstore store for a small cost of $ 2. If you have an account at this store, and you like this genre, then it makes sense to buy, the game is worth. 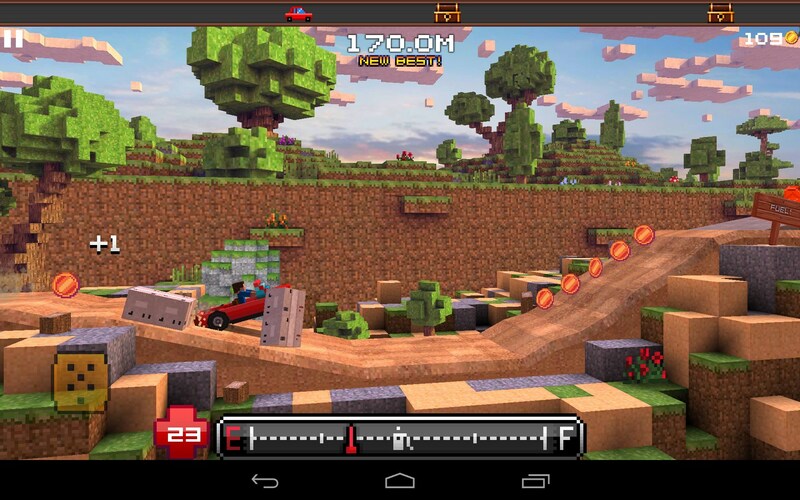 Blocky Roads - magnificent physical racing game for Android, which many will buy at least because of the unusual and very beautiful graphics in the style of Minecraft. We hope that in the future the game gets up and Google Play.